Capcom's corpse-littered action game Dead Rising 2 has shipped two million units around the world, the publisher has announced. Coincidentally, Capcom's purchase of developer Blue Castle Games has been blessed by the Canadian government. And from here on out, the studio will be known as Capcom Game Studio Vancouver. Blue Castle bucks the trend of Capcom partnerships with Western developers producing flops. In January this year a defiant Capcom said it wouldn't create new IP outside of Japan again, stomp. The Dead Rising series has now accounted for over four million sales. There's a strong chance of a Dead Rising 3, then. In fact, Keiji Inafune - Capcom inventor and maker of Dead Rising 2 - wants this new zombie IP to replace Resident Evil as the publisher's main series. Dead Rising 2, a game about killing lots and lots of zombies in inventive ways, was released in September. Capcom also found success with an Xbox Live Arcade prequel to Dead Rising 2. 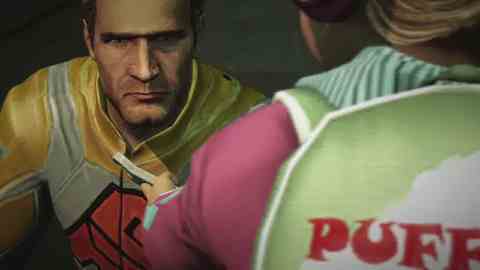 Simon "poetry" Parkin reviewed Dead Rising 2 for Eurogamer. Resident Evil and Dead Rising games significantly discounted.